Discover ideas on how to freshen up the look of your home and enjoy a glass of bubbly! The Eastbourne Brewers Decorator Centre not only offers the widest selection of decorating products in the area but is also host to our flagship home showroom. 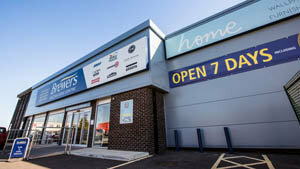 In addition to all the usual paints, wallpapers and decorating tools and equipment, we offer the new Brewers Home range, which includes an impressive display of furniture, bedding, roomsets and lighting – all available to buy in-store. We also offer protective coatings expertise for specialist paint applications. 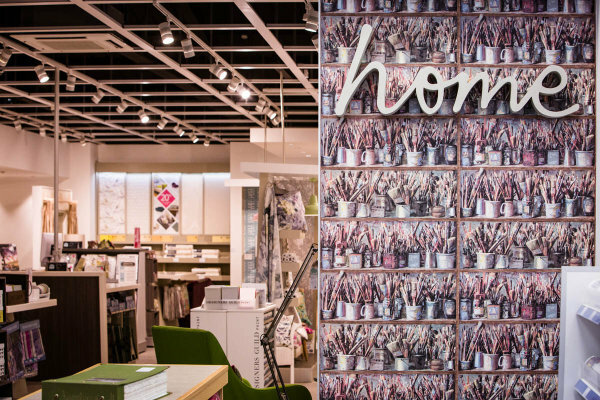 You can book an in-store interior design consultation and tradespeople can arrange for site visits too. Many of our staff have been here for more than 30 years, so there’s an abundance of technical, product and application knowledge available. And because there’s so much to explore and choose from, we’ve made your visit more comfortable with a customer café, kids' area and toilets. There’s parking outside, including disabled parking bays and we’re open 7 days a week for trade and retail customers alike. Brewers Decorator Centre in Eastbourne hosts our beautiful home showroom and cafe. You’ll find us opposite Tesco in Lottbridge Drove, a short distance from the roundabout where A2290 and A259 meet. From the Sovereign Roundabout, take the exit on to the A2290 Lottbridge Drove. Cross over the first roundabout and at the second round about, take the third exit on to Birch Road. Travelling away from Hampden Park on the A2290 Lottbridge Drove, at the first roundabout turn left on to Birch Road. On Birch Road, the store is the second turning on your right.